Membership provides you with access to our five-star facilities and a wide array of members-only deals. But joining Campbelltown Catholic Club doesn’t just give you membership at one of the country’s best institutions - it makes you a part of the family. For good times and bad, we will be there for you to provide support, a kind word - or to make it a night to remember! 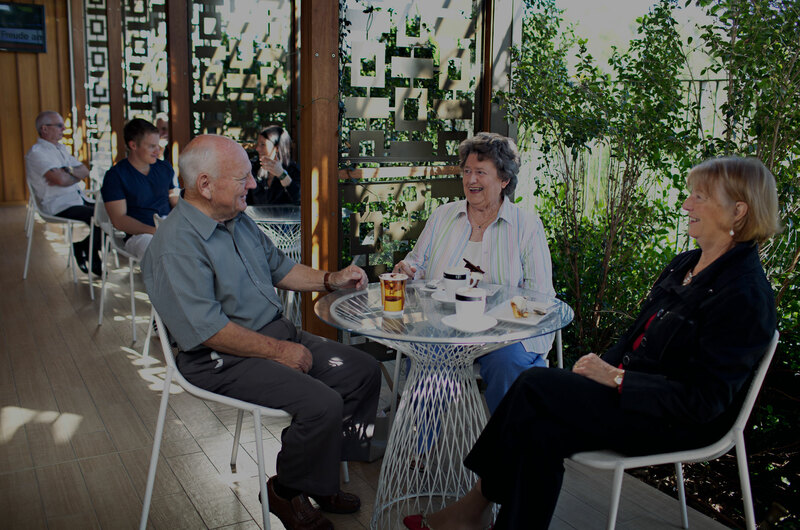 Membership entitles you to great discounts on food and beverage throughout the club and at each of our restaurants and cafes including Kyūbi Modern Asian Dining and OTIS Bar, Grill, Terrace and Brewing Co at Rydges Campbelltown. Plus, you’ll be first to know what’s going down at The Cube, the region’s best live music venue. Your Campbelltown Catholic Club Membership allows you to become a member at Aquafit Health, Fitness, Wellbeing – a state of the art facility that is reserved solely for members. You will be allowed access to the clubhouse at Campbelltown Golf Club, and can then sign up for a golfing membership to play the course. Off-site there are also plenty of fantastic deals for our members, including offers at Fairview Café at Campbelltown Golf Club and Café Blue at Aquafit Health, Fitness, Wellbeing. From the moment you get your members card, you are entitled to enter our regular ‘members only promotions’. From our $20,000 members cash draws to our dine-and-win promotions, there’s always something special on the horizon for our members. Membership allows you to accrue C3 Rewards Points, redeemable for a range of prizes, food or beverages across the club. Planning a trip away? Membership gives you access to our holiday accommodation at Sussex Inlet, Fingal Bay and Urunga (operated by the Federation of Community, Sporting and Workers Club). Not all rewards programs are created equal! We strive to do the best we can for our members, and our loyalty program is no different. The C3 Rewards Program is the Campbelltown Catholic Club loyalty program, which gives our members access to real prizes with every dollar you spend. With our tiered system, the more points you earn, the greater your rewards. Simply use your membership card when you make a purchase to start piling up those points. You can redeem your points anywhere throughout the club, plus you’ll be entitled to special offers at Event Cinemas Campbelltown. *Please note C3 Reward points are zeroed on 30 June each year. Print and fill out the application form by clicking the button below, then simply bring your completed form to the club reception.